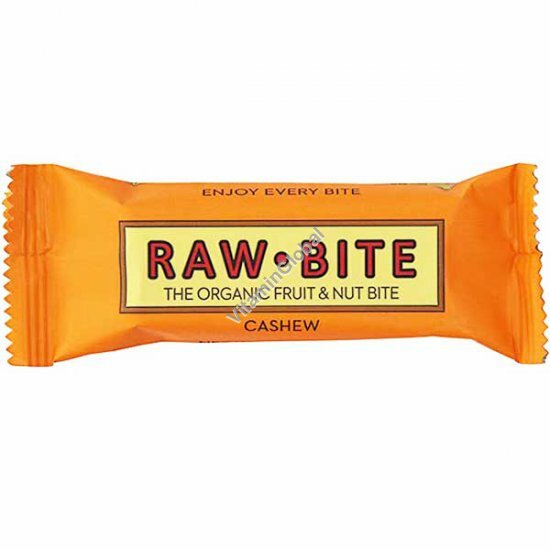 The organic RAWBITE Cashew bar just for nut lovers. The soft texture and mild taste is guaranteed to satisfy your hunger and will provide you with the necessary energy to stay focused during the day. In addition, it provides constant energy with a delicious taste. Ingredients: Organic Fruit Fruit 50% (dates, raisins), Organic Nuts 50% (cashews). May contain occasional nut shells and fruit pit.